BREAKING NEWS - RADIOTORTILLA IS BACK ON THE TUNE IN RADIO APP! Format: We are proud to announce that la onda is now in Chicago! 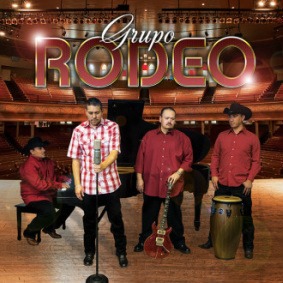 We are Chicagoland's only Tejano and more chicano station. We are 24-7 on this website and simulcast various radio shows from AM Radio stations in Chicago. We are fully Bilingual in English and Spanish. Wanna get involved? Leave a message 312-600-7090 or email us here . Why Radio Tortilla? Porque todo sabe mejor con tortilla. 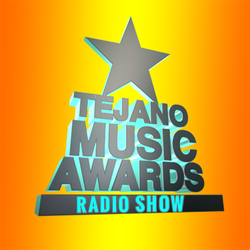 Catch the Tejano Music Awards radio show on Radiotortilla every Saturday and Sunday 7-8PM CT! 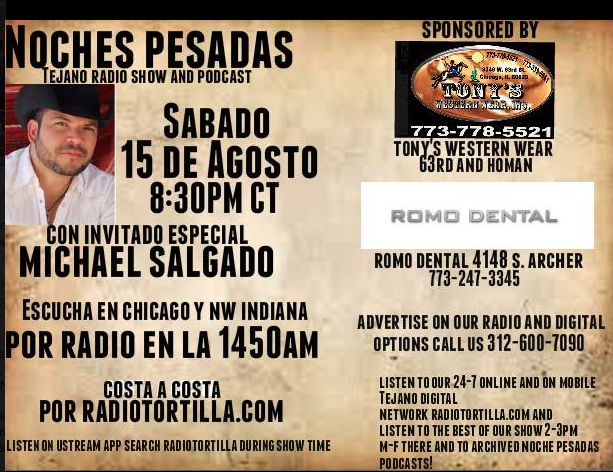 LISTEN TO "THE BEST OF NOCHES PESADAS RADIO" WEEKDAYS 12-1P CT ON RADIOTORTILLA.COM OR LISTEN ON THE TUNE IN RADIO APP ANYTIME SEARCH "NOCHES PESADAS" ! THE MIX SHOW FRI 9PM CT! HOW TO LISTEN ON THE GO! We recommend downloading the xiialive app! It is free! Download it by clicking the logo and then click on the "listen live" button from your phone!